Many of Peter's relations were in the building trade and he had grown up watching them work. When it came to building his own home he started by digging the foundations by hand and concreting the base. The concrete mixer which he bought to start the work fused the electricity in the house opposite where an elderly lady was starting to watch the coronation of Elizabeth II on television. The poor woman was very upset so her electricity was fixed and work stopped until the coronation was over! Peter got a friend to start on the bricklaying of the walls while he saw to the cement but the friend insisted that Peter could help bricklaying and he never looked back. With a £900 loan from the Abbey National Peter built the walls of his bungalow by working at weekends. With the help by of a neighbour he raised the rest of the money, a total of £1223 which he paid off at £7 6s 8d (approximately £7.34 today) per month! After two and a half years the house was finished which meant that Peter and Wendy could move into their new home when their first child, Paul, was born. They had no furniture or carpets except a second hand bed, a sheet of plywood and some pieces of wood for a table and four chairs bought for 5s (25p). Some time later, an introduction from the same friend who had helped Peter with the financing of his home led to the real start of his building business. Arthur Tuck owned the research animal breeding farm in Watery Lane, Hullbridge. Mr Tuck needed new buildings for the mice and guinea pigs so Peter and his brother, Cyril, set to. On one occasion they put in an order for 100,000 bricks which they were not hopeful of getting quickly. However, it was the deep freeze of winter 1963 and local brick makers could not distribute orders over any distance, so the brothers were in luck. Two of the buildings they made were the size of cinemas and over five years this turned out to be a £5m contract. At this time labourers expected to be paid in cash and Wendy did the book keeping; she paid their PAYE from the couple's savings. About this time Cyril stopped working for Peter as he wanted shorter hours. Peter was expanding, needing space for heavy equipment so he rented a yard in Rayleigh at £2 a week from a retired builder. Wendy managed the office and financial side and work soon came in from Rochford Council who needed seven council houses built on infill sites. The Council was already involved with Guildway, a firm making timber framed houses. Peter priced the job and contacted Guildway for advice. The company was desperate to link up with builders to construct using their prefabricated products. Peter was contracted and worked for Guildway over the following years all over Kent, Essex, Suffolk and into Norfolk too. “Taylors of Hockley Ltd.” was on the way! 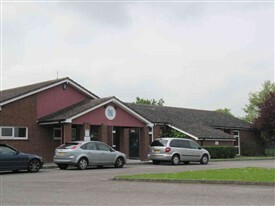 The new Hockley community centre on the Betts' Farm estate was designed by Guildway and built by Taylors at the same time as the one at Rayleigh. Rochford Council was clear about their requirements for the Hockley building: it had to be designed in three areas for different activities plus a bar. 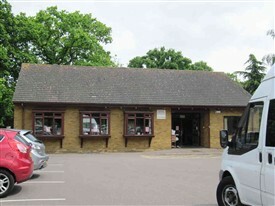 The Great Wakering village hall was old and unsuitable. A new one was planned and architect designed but there was difficulty raising the funds. Eventually Rochford Council decided to speak to Peter about the possibility of building using a Guildway system which was agreed to be an ideal solution. The Great Wakering centre was designed and built in six weeks using preformed wooden frames and stock bricks for cladding from the Shoebury brickfields. Many other community centre contracts followed, plus doctors' surgeries and churches for all denominations. When Peter had the first enquiry to build a church he spoke to Guildway who designed it. Many other churches followed including the Methodist Church in Thorpe Bay and the Salvation Army Citadel at North Shoebury. Peter's wife, Wendy, who worked with him in the business, was particularly pleased to be involved in the church projects and enjoyed going on site with Peter. Taylors also bought the land and developed The Gattens site at Rayleigh. 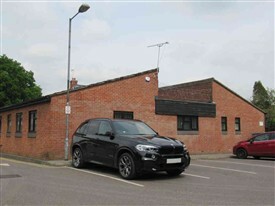 When Hockley foundery, near the station, closed down, Peter bought and developed the site for light industry with a block of 25 flats for which he also used the Guildway system. A trip to New Zealand to join his family who were on a world tour nearly ended in disaster when the plane left the runway at Heathrow white taxiing and fell onto its side in the mud. No one was hurt but the passengers had to spend the whole day in a secure airport lounge before a replacement flight could be arranged. Sadly, towards the end of this holiday in 1999, Wendy began to show signs of the condition which led to her death 12 years later. Peter was able to provide devoted care for his wife of over 50 years until the last six months of her life. The lovely bungalow which he built so many years ago is filled with the memories and photographs of Peter and Wendy's extensive family: children, grandchildren and great grandchildren. As he says, “I've got the loveliest grandchildren you could ever wish to meet.” Peter recently hosted a massive family party for everyone who could come and it is his grandchildren who have persuaded Peter to record his life from such difficult beginnings to the success it became as a result of Peter and Wendy's partnership, initiative and very hard work. This page was added by Sue Horncastle on 21/10/2016.